Our family travel always includes the opportunity to give back to the region we visit. 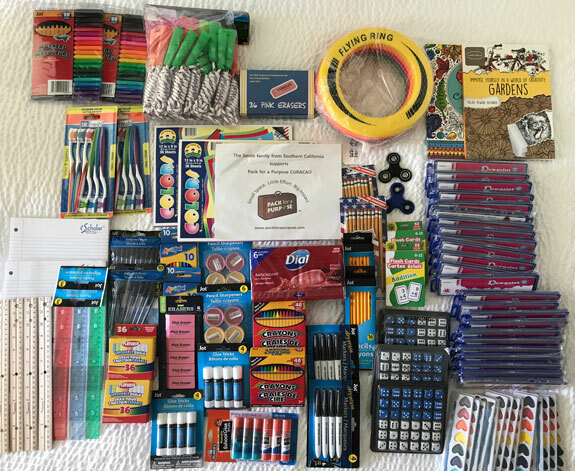 When we first started this giving lesson with our kids over twenty years ago, it was hard to find an opportunity to deliver backpacks full of school supplies. Today, the internet has opened up avenues to make the task of donating while on vacation much easier. Our family appreciates PfaP’s mission to positively impact communities around the world. We chose to donate on Curacao, the second port on our Southern Caribbean cruise. 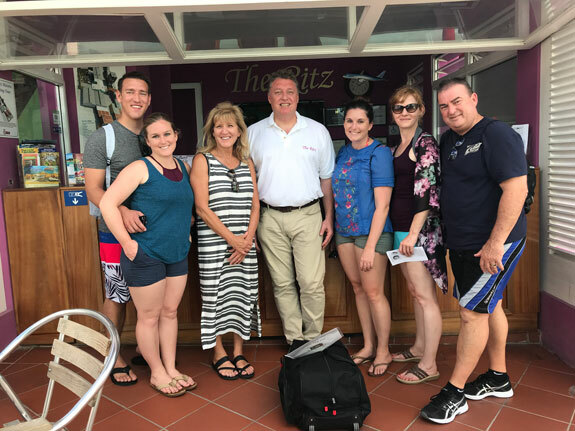 We loved that our donations would go to support five local orphanages on Curacao.It was easy to carry our bag of donations off the ship and make our way to the The Ritz Village, a modern boutique hotel and hostel located in a former ice cream factory in the city’s Historic District. We chatted with the Marcel, the new Managing Director of the resort/hostel, who spent time with us discussing Pack for a Purpose and also gave us a short tour of the property. Travel can teach us a lot about how others live and survive, often with much less than the traveler. Mother Teresa shared, “It’s not how much we give but how much love we put into giving.”This is why our family will always support the Pack for a Purpose initiative for future adventures as it offers an easy way for those who travel to spread love and share this mission throughout the world.